We pay cash for trucks, no matter what their age or condition. If you have a newer pick-up truck but are in need of cash fast, we're interested. If your business is retiring a small fleet of dump trucks that are beyond repair, we'll pay cash. If your semi blew an engine on the highway are your done pouring good money after bad, we'll pay cash for your truck. We're not a scrap metal dealer, used parts supplier, towing company, or used truck dealer. Instead we have built relationships with dozens of these types of companies. We're actually a web based business that specializes in the secondary truck market. When we pay cash for trucks, we are able to shop them around to many potential buyers. Because we're not tied to any one way of monetizing the vehicles we buy, we can pay the most cash for trucks. We don't care if it's almost new and your business needs an infusion of cash, or if it was in an accident from which your truck will never recover, we would appreciate the opportunity to offer the most cash possible for your truck. We're proudly a Green operation. 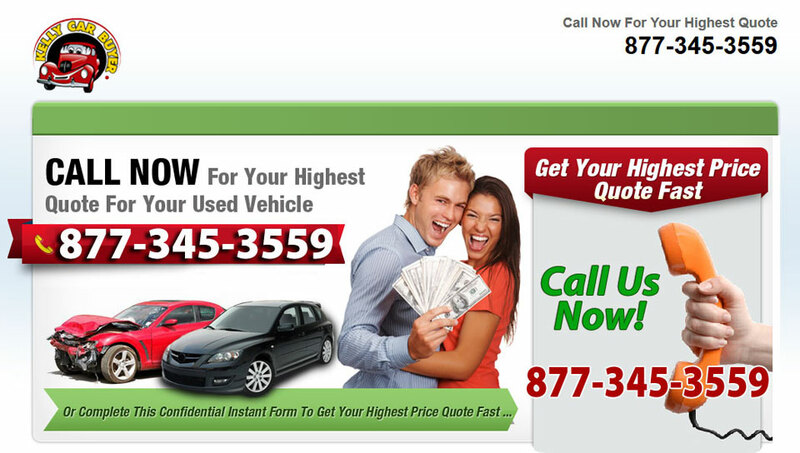 If we can, we'll fix up your car and resell it to someone who keeps using it. The best Green policy is to reuse what we can. If your car is totaled, we'll still try to salvage spare parts to keep other vehicles on the road. If your car is only worth its weight in steel, we'll recycle as much as we can. We'll also make sure that the many hazardous fluids and compounds in junk cars are dealt with in an environmentally responsible way. Turn Trucks Into Cash Now!